The ultimate collection for Latin lovers everywhere! 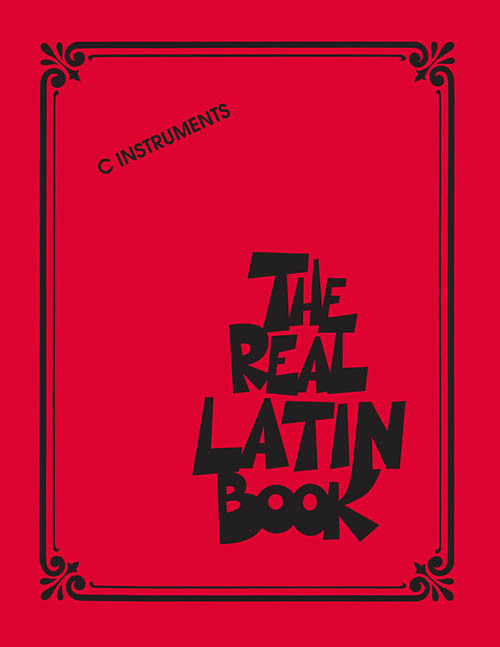 400 Latin standards in one Real Book collection, including: Adios • Água De Beber (Water to Drink) • Águas De Março (Waters of March) • All That's Left Is to Say Goodbye (E Preciso Dizer Adeus) • Alma Con Alma • Always in My Heart (Siempre En Mi Corazon) • Amapola (Pretty Little Poppy) • Amor (Amor, Amor, Amor) • Antigua • Babalu • Bésame Mucho (Kiss Me Much) • Bonita • Brazil • Call Me • Cast Your Fate to the Wind • Cherry Pink and Apple Blossom White • Con Alma • Copacabana (At the Copa) • Corazon Corazon • Desafinado • Don't Cry for Me Argentina • El Triste • Evil Ways • Feelings (?Dime?) • 500 Miles High • For Once in My Life • Frenesí • The Girl from Ipanema (Garôta De Ipanema) • Granada • Himno Nacional Mexicano (Mexican National Hymn) • How Insensitive (Insensatez) • It's Impossible (Somos Novios) • Killer Joe • Kiss of Fire • La Bamba • La Malaguena • Little Boat • Livin' La Vida Loca • The Look of Love • Malaguena • Meditation (Meditacao) • More (Ti Guarderò Nel Cuore) • Never on Sunday • A Night in Tunisia • One Note Samba (Samba De Uma Nota So) • Oye Como Va • Paloma Blanca • Papa Loves Mambo • Perfidia • Por Amor • St. Thomas • Sway (Quien Sera) • Tico Tico (Tico Tico No Fuba) • Triste • Wave • What a Diff'rence a Day Made • and more!